For someone who has never expressed a view on dogs and, therefore, of NO real interest to ME, Gordon Brown is taking up A LOT of my time right now. Mr Brown also said the government would convene a forum of supermarkets, the British Retail Consortium and others to look at how to reduce plastic bags to cut landfill waste. "I am convinced that we can eliminate single-use disposable bags altogether, in favour of long-lasting and more sustainable alternatives," he said. 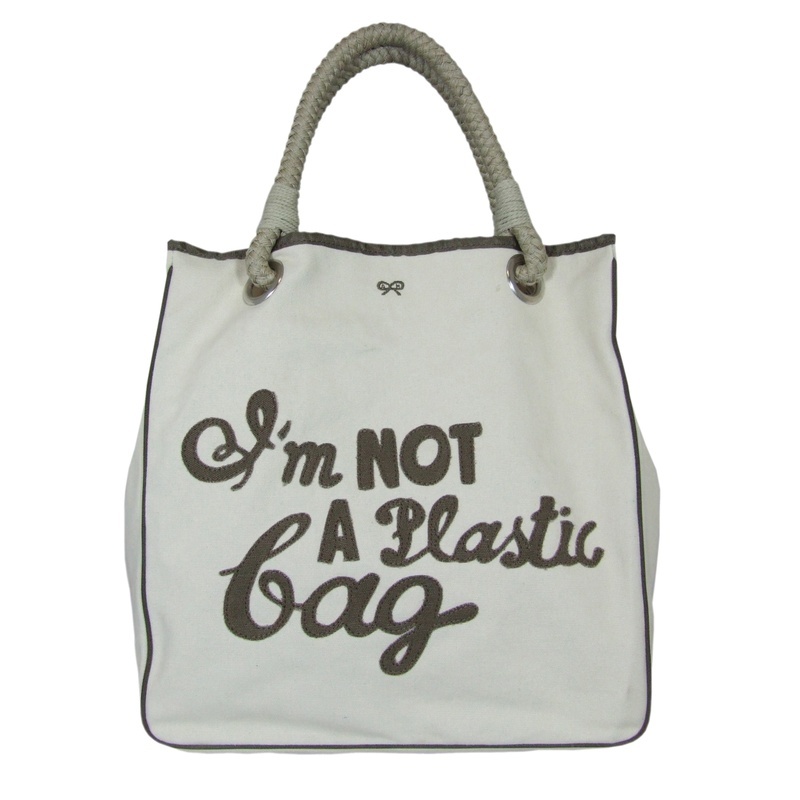 www.plasticbagfree.com to see what amazing things they have done together. And now, in my own city of London, 33 boroughs have pledged to support a Government bill that proposes a ban on free bags. The thing is, as any responsible dog owner will testify, plastic bags CAN be useful; if you live in any urban environment, you should ALWAYS clear up after your dog. But but but there is no need to pollute our world in this way so that animals and sea life, across the other side of the planet, choke to death on stray plastic bags. Not only that, these creatures are at the bottom of the food chain and remember, if it's bad news for them, it's going to be bad news for YOU! So, given that nothing in life is free, it seems that those plastic bags - handed out with all your shopping - have cost us all a great deal more. An Inconvenient Truth? And does Richard Branson have the answer? It seems as if George Bush Jnr has been President forever but, of course, his first term was started after the controversial missing votes of Florida. Had those votes been found, America's fortunes - and indeed the world's - would have been very different. Al Gore would have been President for one. But, as Mr Gore concedes, he had other work to do and the long-term environmentalist has provided a global wake-up call with his film, An Inconvenient Truth (available for rent everywhere). And now, it seems, people are listening. Sir Richard Branson, head of the Virgin empire (which includes Virgin Airways) has joined the environmental bandwagon to spread the word. The cynics will say it's just another publicity stunt but Branson's latest move is, at least, making the headlines (supporting Gore's arguments). Some would say he has some serious paying back to do after making international travel so much easier, more fun and cheaper. Richard Branson is challenging the world's scientists to find a way to halt the damage done by climate change; he is offering a $25 million (US) dollar prize to see if they can develop a method for extracting greenhouse gases from the atmosphere. The cash prize is not the only carrot that most scientists need; just imagine, if they did find a way to counteract the damage done to the earth, they really would be global superheroes. They would be saving mankind! Pretty cool, huh? I don't know much about Sir Richard but one thing is sure, dogs are welcome on his Virgin Atlantic flights. (I know, even dogs are leaving a carbon footprint!) Even so, if he supports pet-friendly policies, he gets my vote. Like the polar ice caps, Tony Blair's career is in meltdown. Today we are going to hear the latest thinking from the world's scientists - the Intergovernmental Panel on Climate Change (IPCC) - about global warning and, surprise, surprise, mankind is to blame. Well, tell us something we don't know. It's so utterly depressing! (will the Catholic Church forgive him and let him convert once he's left Downing Street?) and now the young pretender, Mr Cameron, has said it is time to go. Oh dear. Remember Tony, all power corrupts and absolute power corrupts absolutely. You needed a dog to keep you grounded. PS Please remember to vote for me in the 2007 Bloggies http://2007.bloggies.com/ - I'm in the Best Kept Secret section! And Friday is the last day for voting. Well, an American organisation is doing just that and good for them, I say. The Humane Society (similar to the RSPCA here in the UK) has offered $100,000 to stop the mass slaughters of dogs happening right now across China. Even the normally reticent Chinese media has not held back its criticism of this idiotic policy. Basically, growing wealth has meant that more Chinese people are having dogs as companion animals. But they are not vaccinating them, so rabies is spreading. The explosion in dog ownership has come at a price, which dogs and their owners are paying. Many dogs were slaughtered right in front of their owners. Can you imagine that? But there may be some hope.The Beijing Morning Post reported that the city of Qingdao, a major port city in Shandong province, is planning to vaccinate 40,000 dogs between now and the end of September. The newspaper said that any owners who do not comply will be fined. At least this is an alternative approach. "There are far better ways of addressing rabies control to promote the safety of your citizens, the good reputation of China and the welfare of dogs." It's hard to think that Beijing will be hosting the next Olympics when the country still has so many questionable policies that affect its human and animal population. I'd like to know what the UK animal welfare groups are doing about this policy; so far, I have seen no comment. I hope they are doing something and don't forget you can, too. Check out www.animalsasia.org. Something very bad is going on - globally. The Middle East continues to dominate the headlines and seems utterly unresolvable. That's 50,000 dogs killed. In a week! Just one week. Apparently, it's all down to lack of responsible ownership but rather than punish the guilty, everyone gets it in the neck. Literally. There were reports of innocent dog owners walking their pets and then being pounced upon by the authorities, which then clubbed their pooch to death - in front of them. People - wake up! This is no way to treat the planet and everyone (human and animal) on it. It's like we're going into global meltdown. Quite frankly, if this is Year of the Dog, I reckon it's game over.